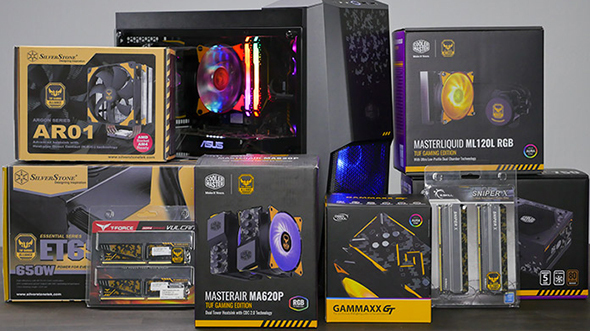 Asus has bought along a host of new monitors and a ton of TUF products with them to Computex 2018. The monitor giants are expanding their gaming and professional ranges, even taking a leaf out of Samsung’s extremely ultrawide book. The Asus VG49V is a 49-inch, 144Hz, Adaptive Sync, ultrawide monitor ready to take on the likes of Samsung’s C49J89 or CHG90. It seems to be almost identical in panel specs to the Samsung models. 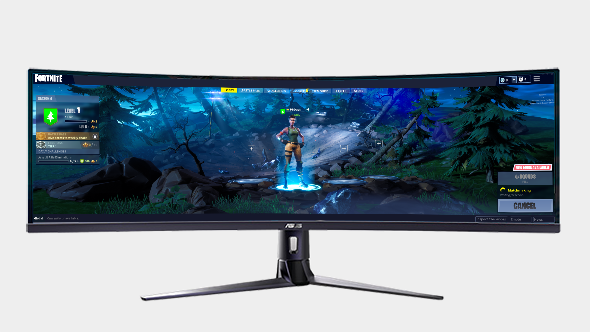 But Asus aren’t the only manufacturer with an ultrawide on the way, MSI are also showing off another near-identical monitor at Computex – completing a three-way standoff of epic proportions. Want the very best gaming mouse for ultimate precision and responsiveness in game? Here’s our top picks. There’s also the rather strange console-focused CG32UQ monitor. This is a 31.5-inch 4K monitor, technically built for console-gamers looking for a more compact experience than a living room TV. It comes with Adaptive Sync, HDR10 support (DisplayHDR 600) and Halo Sync lighting. And lastly in the monitor space, there’s the Asus ProArt PA34V. As you may have guessed, this is intended for professionals, but who can say no to ridiculous colour accuracy. This ultrawide 1440p monitor may not all that bad for gaming, either. The PA34V has a 100Hz refresh rate and will support Adaptive Sync. We already saw Asus lean heavily into new product lines with its ROG range, however, Asus still has plenty more to show from its durability-focused TUF range at Computex, too. Usually made up of motherboards, Asus is adding mice, keyboards, headsets, and a PC case into the range. The TUF Gaming K5 is a splash-proof membrane keyboard intended to withstand a lot of bashing around during travel. Asus have layered up extra paint to avoid any noticeable damage for longer, and it comes with five-zone Aura Sync RGB lighting, too. To pair with its latest board, Asus have wheeled out the TUF Gaming M5 mouse – with the catchy slogan “Mice it your way”. 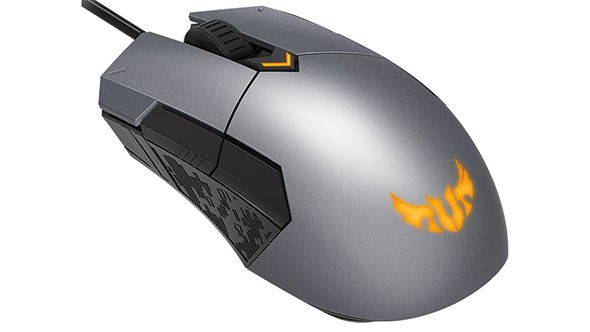 This heavy-duty painted rodent utilises a Pixart PAW3327 optical sensor (up to 6200DPI), Omron switches, rated to 50 million clicks, and all the buttons (the usual with two extra thumb clickers) are programmable within the Armory II software. These settings can also be stored straight onto the mouse’s built-in memory. The TUF Gaming H5 (starting to see a pattern here?) is a gaming headset with durability taking top priority. Audio is delivered by two 50mm Essence drivers and a removable mic. Virtual surround sound is also available through the included USB adapter. For the ultimate TUF build, however, you’ll need the TUF Gaming GT501 PC chassis (the theme’s dead, forget about it), which features a largely steel construction, tempered-glass side window, and woven cotton handles for easy transportation. There’s also the TUF Gaming Alliance, in which Asus partners will manufacturer styled product SKUs to match with the TUF range. This should make matching the TUF style across non-ASUS components a doddle. The three monitors are expected to be available on the shelves sometime toward the end of the year, while the TUF Gaming lineup is expected in Q3. Pricing will be made available closer to official launch.